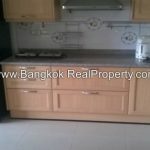 Situated in the prime location of Ratchadamri Road, this very spacious 1 bedroom condo at Regent Royal Place 1 offers great convenience. This unit is situated on a mid floor of Regent Royal Place 1, facing out to the Royal Bangkok Sport Club grounds with 60 sq.m of living space. 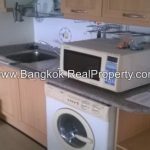 This condo is within 5 minutes walk of Ratchadamri BTS station and only a short stroll to Siam shopping of Central World, Paragon etc. The Regent Royal Place 1 has a large swimming pool with fitness room, separate male / female sauna and steam rooms. Regent Royal Place 1 is a condominium project, located in in the heart of Pathum Wan district opposite the Royal Bangkok Sport Club, close to Ratchadamri BTS. Regent Royal Place 1 was completed in 1998 and this project comprises of a single building with 29 floors and a total of 380 units, a mix of 1 and 2 bedroom units.